At Demoiselle 2 Femme (D2F), gender-specific programming goes beyond simply focusing on girls. It represents a concentrated effort to assist girls in positive female development. It takes into account the age-appropriate developmental needs of girls at adolescence, a critical stage for gender identity formation. 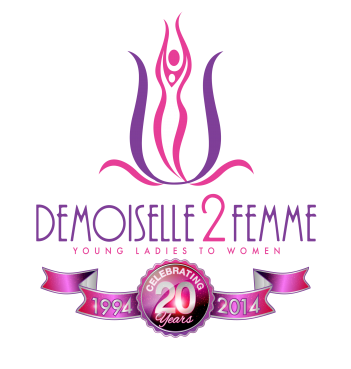 Demoiselle 2 Femme teaches young ladies how to avoid the pitfalls of alcohol, tobacco, drugs, violence and teen sexual activity while equipping them with the hope of accomplishing their educational and professional goals through self-discipline, hard work, commitment and service to their community. The community-based model developed by D2F is a gender-responsive approach which encourages the avoidance of at-risk behaviors as a strategy for success as well as the completion of high school and matriculation to college. Girls With a Voice Empowered (G-WAVE) – health promotion program which utilizes girl-led awareness projects to empower girls, their peers and community to make better health decisions. D2F P.H.I.T. CLUB (Pursuing Health through Intense Training) and D2F PHIT XPRESS- innovative obesity prevention programs which target girls and their mother/caregiver in four primary areas: fitness, nutrition, wellness and community education. Project Hopeful– a financial literacy program for girls and their families.